The Deep Roots Music Cooperative would be pleased to have you join us as a member, providing an opportunity to become involved in a vibrant community organization. 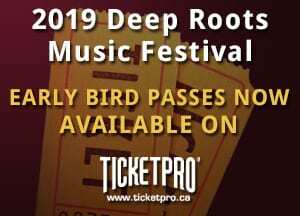 The Deep Roots Music Cooperative is a non-profit organization, in Nova Scotia’s Annapolis Valley, dedicated to celebrating our musical and cultural heritage. The organization’s mandate entails developing year-round musical programs culminating in an annual festival weekend; and in the process, encouraging meaningful connections between cultures, community groups, artists and audiences. Complete the Membership Application below and we will contact you. We respect your right to privacy and any information you provide will only be used to respond to your expression of interest.